Shenyang Machine Tool Co, Ltd is the largest manufacturer of machine tools in China, which is located in the hometown of machine tools in China---Shenyang, a northeastern city. The products of the co. cover more than 300 different types and 1000 different specifications, mainly including: cnc lathe, cnc milling&boring machine, machining center, turning center,cnc system,universal lathe, radial drilling machine, horizontal boring machine. 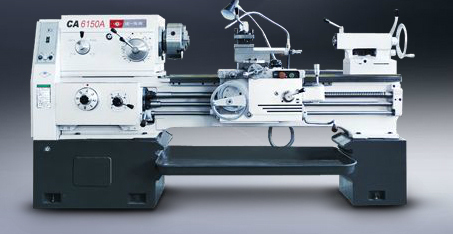 325 ModelsView more about Shenyang Machine Tool Co., Ltd. Looking to Purchase a New SMTCL CA6250B? Looking for a USED CA6250B?Have one to sell? 2600 E. Saucon Valley Rd. yuwe machine tools canada inc.
Suzhou Yidian Machine Tools Co., Ltd.
Wuhan Huixing Machinery Co., Ltd.